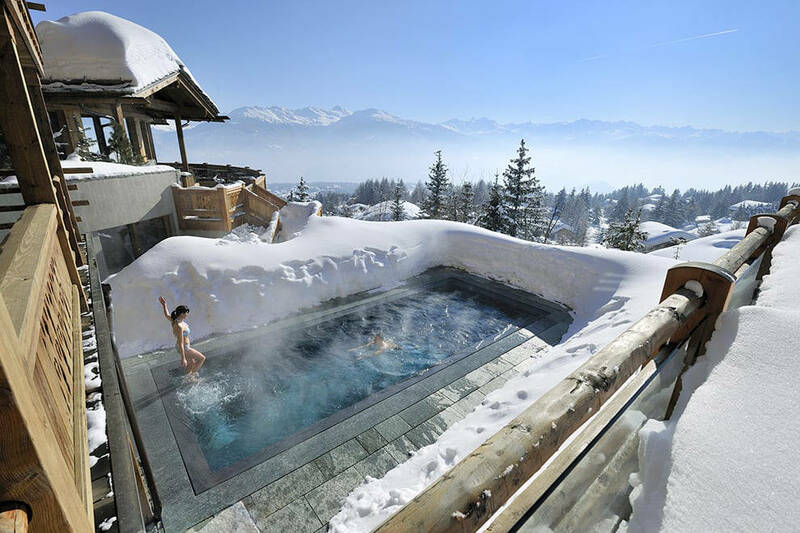 Sitting on a south-facing shelf above the Rhone Valley, in the Valais canton of Switzerland, Crans Montana ski presumes of its wide impressive views and outstanding scenery. This striking sigths include some of major Alpine peaks, including the Matterhorn and Mont Blanc. A fairly sizable area of mid-altitude terrain, full of pretty wooded slopes bathed by the southern sun, and a selection of mountain restaurants and smart lodgings, makes Crans Montana a ski destination to suit many kind of skiers. Made up of two swiss mountain villages, Crans-sur-Sierre and Montana a mile apart, with the years has expanded into a larger urbanized community, becoming a well-established year-round resort, being Crans the more upmarket one, with greater concentration of fancy shops, stylish bars and a pedestrian-friendly centre. Divided into four main sectors: Crans, Montana, Barzettes-Violettes, and Aminona, these are well connected, each one of them accessed from its respective base area by gondola lift, with home-run pistes down to all four base stations, and a free ski bus service running between the lift base terminals every half an hour. Snow doesn’t lack in the main upper ski area, all above the tree line, particularly at the summit sector on the Plaine Morte Glacier, with a superb long red run down from the glacier. You can find many long runs, the lowest ones equipped with snow-guns and shelter from the trees, what helps to guaranty the snow, therefore ensure the ski access to the bases and enhanced visibility if needed on poor weather. Some beginner slopes are located above Montana and Aminona. For the first timers and beginner children the best choice is “Snow Island”, a separated zone equipped with ski-tows and belt surface lifts. This convinient learning area is located at the gentle hills of the prestigious Golf-Club Crans-sur-Sierre. 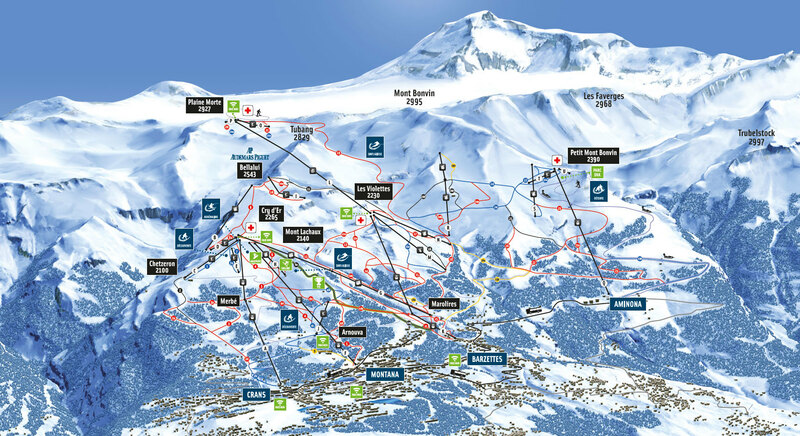 Most of all the ski area is an undemanding playground for intermediates, comprised of mid-range blue slopes, wide pleasant reds and some low end black runs. 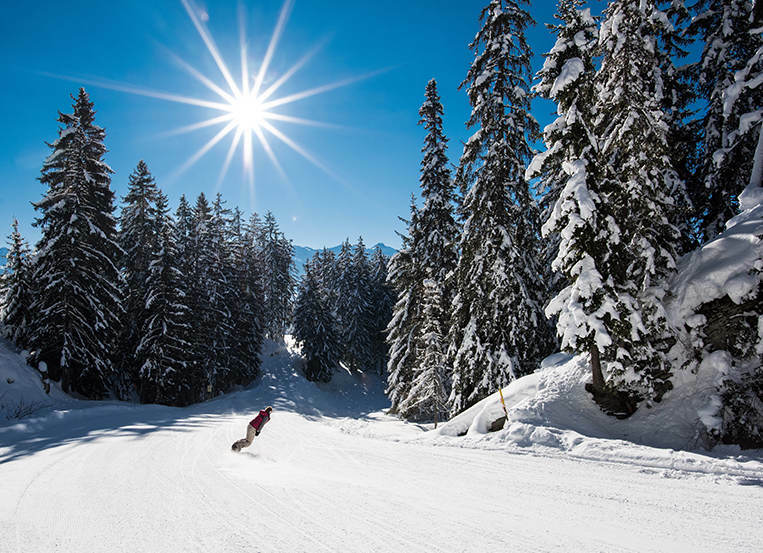 For the advanced skiers there is a lack of challenging terrain and their best option is to hire a guide in order to explore the steep off-piste terrain at Les Faverges. 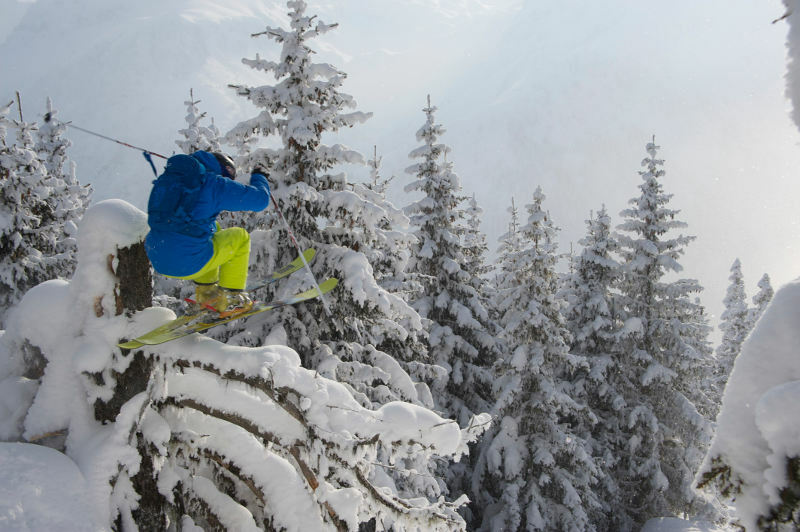 Crans Montana has an excellent snowpark, well built and with some impresive features. You can find a halfpipe and a ski cross course. In the slope-style zone there are wall rides, rails and boxes, also plenty of jumps for different levels. Easily reached in around two to three hours by car or train from Geneva airport (180km), Crans Montana is also provide easy transfers by rail and road from Bern airport in central Switzerland. Getting to crans Montana bye train is easy, getting from the airports by car though is quicker and, no matter where you are staying in the resort, is quite useful to have a car there to drive to the ski lifts and move around. Sion is the The regional airport at just 27km from Crans-Montana. From London Gatwick Snowjet offer low cost flights. There are some transfer service companies you can choose to book private transfers from the main airports to Crans Montana. Happybus offers private airport transfers all year-round, with personalized airport pick ups and door-to-door service. GVA Transfers provide quick and comfortable private transfers for individuals and groups of any size. They wait if your flight’s delayed, their drivers speak English and French. Thanks to the priority parking area at Geneva, you arr only a short walk away from your transfer. From Geneva airport to Crans-Montana via Sierre, it’s an easy, scenic journey by train. 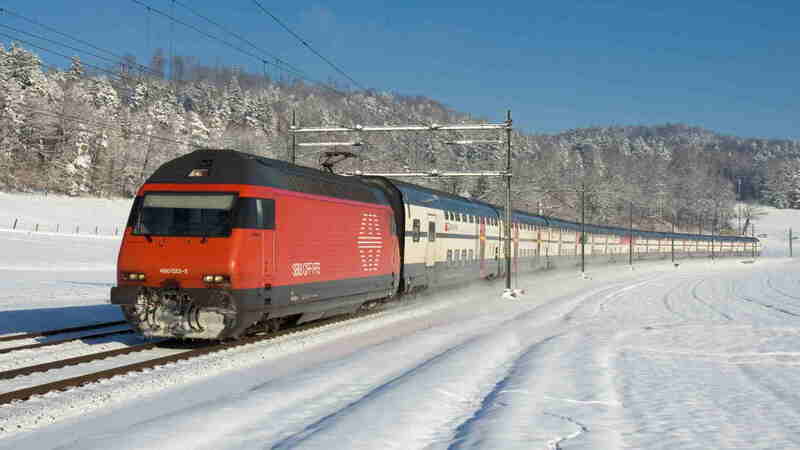 Direct trains run from Geneva Airport to Sierre (and on to Brig) approximately every 30 minutes, and the journey last around 2 hours 15 minutes to Sierre. From Bern you can take the train to Visp, where you can catch another train to Sierre. The total journey is around 1 hour and 20 minutes. You can buy an integrated all-in-one ticket onwww.swissrailways.com with additional benefits and discounts, including the bus or funicular from Sierre to Montana. You can walk 370m or take a 5 minutes shuttle bus from Sierre to the SMC Funicular. This scenic ride will take you from Sierre to Montana Gare in 20 minutes. If you don’t want to take the funicular, you can take a bus or a taxi for a 45 minutes drive to Montana or Crans. Once in Montana or in Crans, depending where you’re staying you’ll need a taxi or a hotel pick-up. From Sion 35 minutes / 27 km. This is one of the shortest airport to resort transfers in the Alps. From Geneva 2 hours / 181 km. Most driving on A9 motorway until Sierre, then the last 14-km from Sierre to Crans-Montana is a mountain road. There are plenty of roadside and hotel parkings around the resort. You will find main car parks next to the ski lift stations incase you need to drive there. If you’re planning to drive your own car on Swiss motorways, remember to buy a Swiss Motorway road tax vignette. It is mandatory to possess one to drive on them, and is valid for one year. 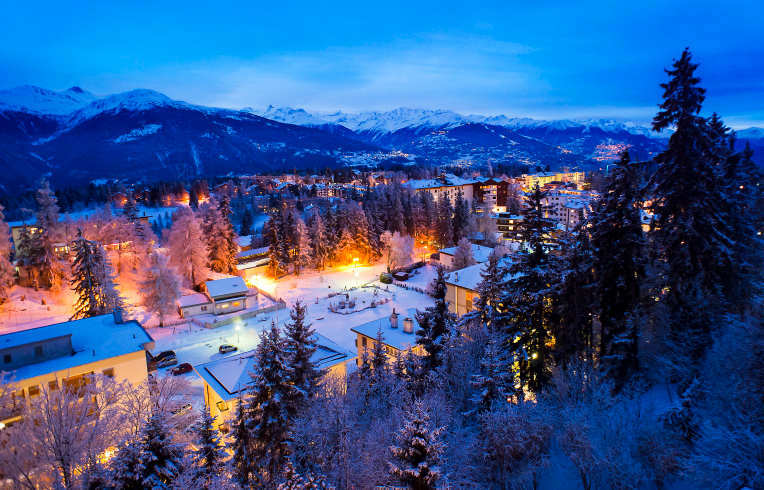 The urbanized feel of the resort can not fit that well for some looking for a classic alpine swiss village, but the wooded setting softens it up, and certainly the more developed towns offer a vast variety of off-slope activities. There are more than 60km of snowshoeing trails and way-marked walking paths in the surrounding area. There are also many kilometers of cross-country ski runs in the region. At the Plaine-Morte glacier, the high altitude cross-country course allows skiing in summer. There is an ice rink, a shooting range, a climbing center, a paintball and laser center. Crans Montana offers also plenty of other indoor sport facilities like tennis courts, bowling, curling, etc… You can try also dog sledging or winter golf. There are few pools and spas around the resort to relax the sore muscles. For non-skiing visitors shopping is the main attraction with many stylish boutiques, jewelers, art galleries, along with a vast choice of elegant bars and quality restaurants. You’ll find a more sophisticated Apres ski style in Crans-Montana, therefore attracting a more relax orientated clientele looking to enjoy a hot beverage in one of the many cafés or tea rooms, and to have drink in a stylish bar. If you are looking for a more rocking apres-ski head to the Zerodix. Located next to the gondola base station in Crans, this bar features resident DJs and as a result a more party atmosphere. Later on in the evening, popular venues catering young-minded visitors are the Monk’is or theAmadeus. You find also a couple of small cabaret-style clubs, larger nightclubs like Xellent and Pacha, and even a Casino. Later on, the place to go dancing is the Broken Bar Disco at the Hotel Post.